« Just when you’re almost to the top, a mule farts. 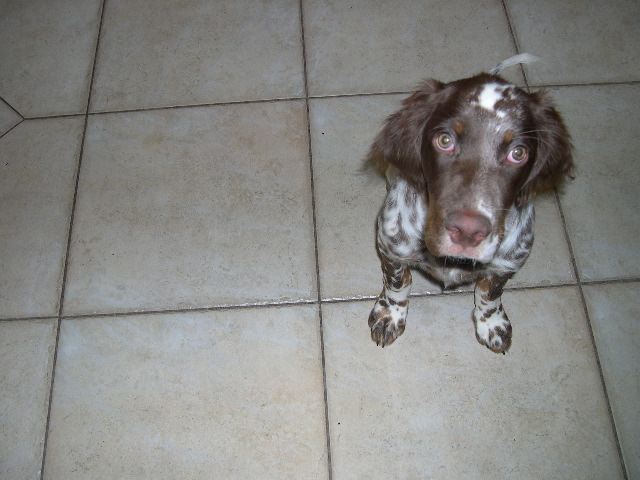 Henry is my perfectly lovely, best-dog-I ever-had-English Setter. Nikko is the perfectly lovely, best-non-barking-neighbor-dog-I- ever-had Husky. Henry and Nikko won’t talk. It’s Henry’s fault. Nikko comes to the fence, and Henry ignores him. Never looks at him. Won’t give him the time of day. Hey, perfectly lovely setter dog, what’s up with that?! Tell Henry there is a bird he might like over here. Or a squirrel. Or a light reflection. Or that the deer were just here last night. You should know what Henry likes, and build on that. Tell Henry you saw him poking that possum playing possum the other night and you thought he did a really great job. Congrats on that, Henry! Ask Henry his favorite kind of bird. Ask Henry about his mama. Ask Henry what in the world he is barking about incessantly in the woods behind your houses. Comment on the evil Postman, UPS man, or person jogging by on the sidewalk. Give Henry the opportunity to take a poll on his favorite birds. Find out what Henry does when he’s not setting birds in the backyard, when he’s out of your field of vision. No, I’m still not coming down to the fence to visit with you, but I’ll see what you have to say to me. Hey Nikko. I know you were busy having to stay in your crate all day while your mama works, so let me tell you what happened in my big backyard. Did you hear that turkey in the woods? That’s what I was barking about! What else you got over there, Nikko, that I might be interested in? Any more trips to the beach? Did you know I like the mountains, too? This entry was posted on September 22, 2010 at 3:19 pm and is filed under AprillWrites Copy, What's in this for you?. You can follow any responses to this entry through the RSS 2.0 feed. You can leave a response, or trackback from your own site.